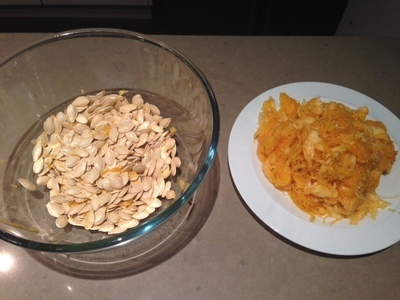 If you have ever carved a North American-style Halloween pumpkin, you would understand the anticipation about how many pumpkin seeds could be in your pumpkin this year. Luckily for us, we got a lot this time! Children can help with making this recipe and they definitely will love to eat the finished product, which makes a very nutritious snack. 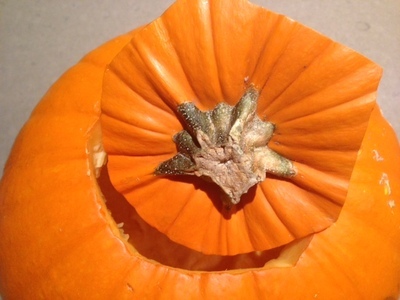 Using a metal tablespoon, scrape all of the pulp out of the pumpkin (which includes all of the seeds) and put into a bowl. Children can help too, using their hands to feel the squishy, slimy pulp. 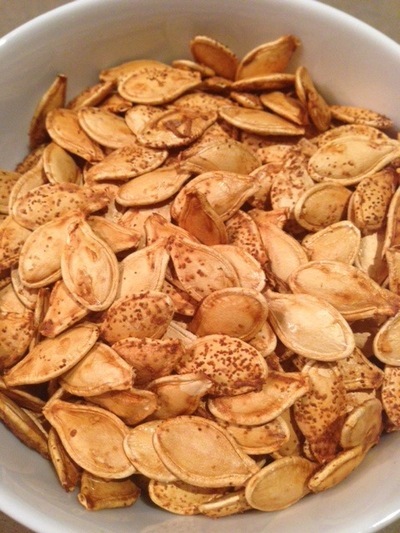 Using your hands, separate out all of the seeds and put into another bowl. Pick out as much of the pulp as you can (but do not worry if there is some left over). Discard the pulp. 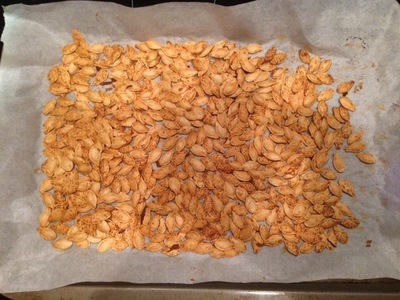 Spread the pumpkin seeds out on the paper. Lightly sprinkle the garlic powder over the seeds (kids will have fun shaking spices onto the seeds). Lightly sprinkle salt over the seeds. 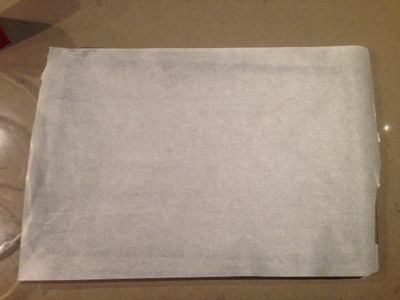 Bake in a pre-heated 160°C (320°F) oven for 15 minutes. 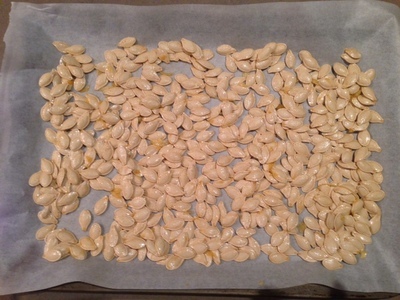 Remove from oven and give the seeds a stir. Return to the oven for another 5-10 minutes or until crunchy and golden brown. Depending on how many you yield, you can store in an airtight container (in our house they do not last that long! ).